"There is nothing that cannot be broken to us!" 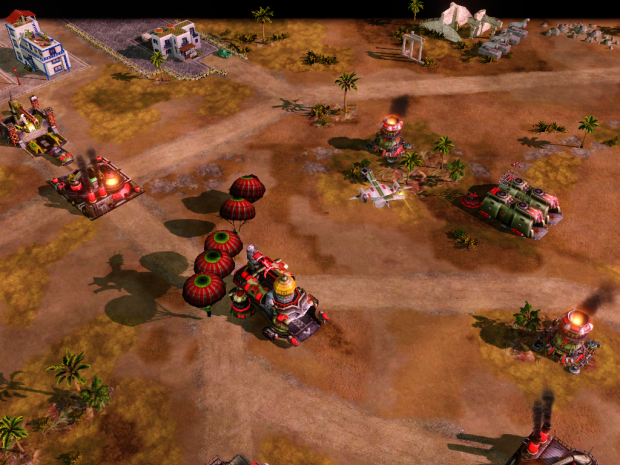 The War Factory refuels Red Alert with many new Units, from the odd to the powerful! Every unit you see here will be downloadable for use in your mod too! That is not to say that the mod part will be forgotten! The mod will have all the units with full voice and lore interacting and reacting with each other, as new Allied Companies, Soviet Factories and Imperial Industries pull out more and more! 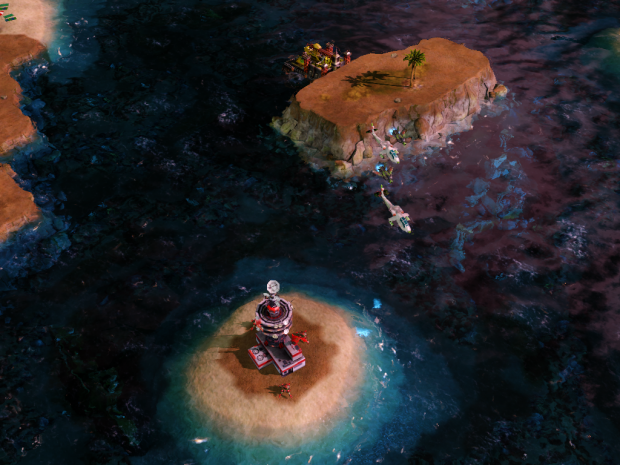 A Mod for modders, for the Glory of Red Alert! The War Factory rolls out a release. But unlike other Releases, this is one with Code, Bone and POWWWWWER! 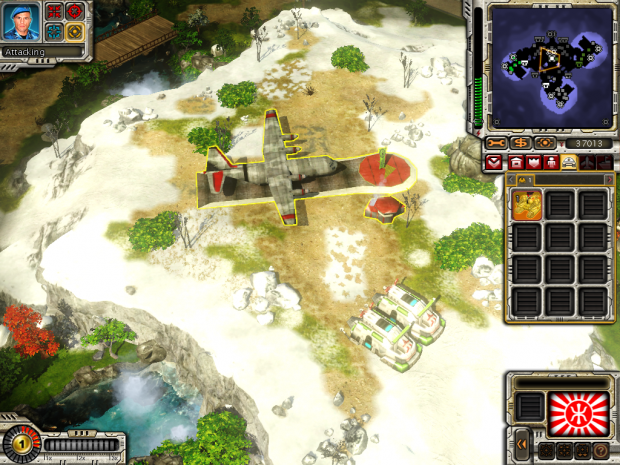 The Empire of the Rising sun gains a Naval Air Field, buildable from the Airfield Nanocore after a Ore Refinery is placed. The Two Aircraft are buildable as soon as it is finished. The Gurren Heavy fighter uses twin Beamer weapons to take down enemy planes. The Musai Transport can Para-drop forces anywhere the wind travels. 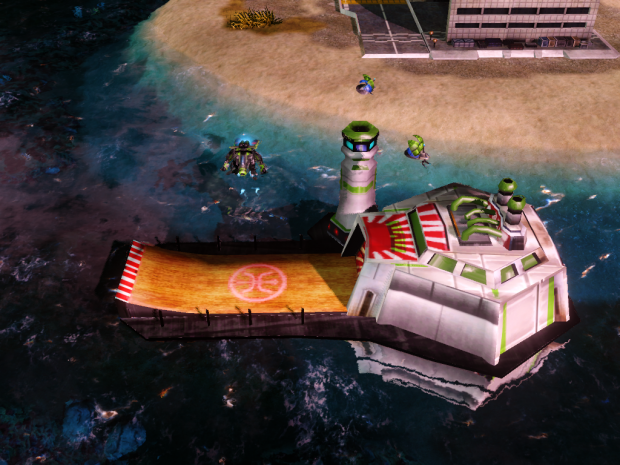 There is also two tech buildings in this pack, One the Tech Power plant provides a great amount of power, yet starts with limited health. If you want to keep it you need to repair it. 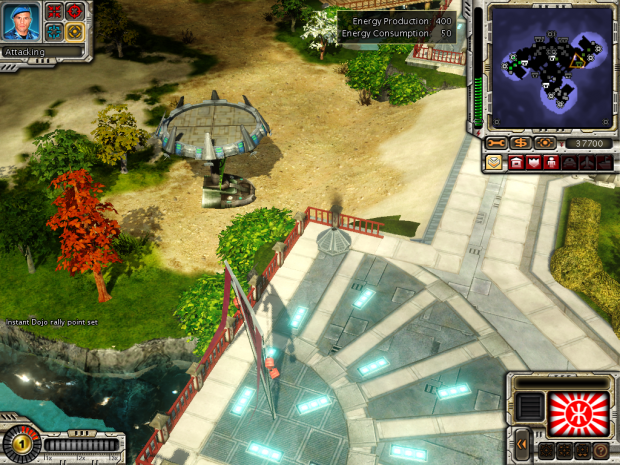 The other, the Tech Merc Field acts as a Tech War factory, giving you the ability to host many new units. Though At the moment it can only make one unit, the Tesla Tank. Since I am also releasing the source, you can fiddle with the code and mess with the balance as much as you need. Please use and improve as much as you need, use this to learn and make your own. Mix it with other mods like Parasource 3, Upheaval, or even my other released models. It is available now. Please have fun! The Core of TWF is now Open Source, the ability to Convert models from CnC3,KW,RA3 and CnC4! From the Storm of Steel, GDI Arrive in RA3 By way of ThunderMods! With thanks to Stygs, Chriz, Golan, And EALA! Many things Happening with TWF, and Two art packs released THIS WEEK! With the help of the CnC Community, I have make more. Now Prepare for the News! Allies of TWF, These Skins are you you, and the rest of the RA3 Modding community. Germans With GDI? I mean GDI's Based there. But when They Bring MG Pitbulls, Slingshots, and the Mighty Titan? Then it's Thundermods. A set of Tanks from the maker of ZBI! One for each side in RA3. The Allied Airfield with a few Changes. Will Be Seen in ZBI! For Use with Allied Art Pack from EA. All of my models are open source. I Downloaded the files but how do I make them playable ? I Hope This Mod isnt dead Ive Stuck with Red Alert Franchise since i was 7 years old i Want People to Show the world that THE RED ALERT FRANCHISE IS THE BEST!!!! The ground Rumbles, with the treads of Tanks! how do i install this????? the models you add to your mod.